I guess I will have to do my laundry so I have something to wear. This post has been deleted and sent to the trash. The pant skirt has also been deleted meaning it has also been sent to the trash. Even though I successful completed it, I decided they looked horrible on me and the color was worse. It is a “Wadder” that is definitely not worth posting about. I Am Finished with Those Pants for Good! Well, I finally finished the pair of pants I have been working on. I did a really sloppy job because I just wanted to finally finish a pair of pants no matter what they looked like. I know I went too fast sewing them. There are lots of mistakes including a sloppy zipper installation on the left and the pants waistband not being even. I also hemmed the pants a little too short. I ma de these pants while taking the “Pant Fitting Techniques” class on Craftsy.com. Following the class instructions I made the alterations I thought I needed on the flat pattern and then sewed or altered the sewn muslins (trial garments). Once this was done I asked for suggestions from the instructor and other classmates on how to make the pants fit and look better. Even though I used their suggestions, I never did get the pants to fit or look decent they way I wanted them to. After the 8th muslin I gave up and just finished the pair of pants I had been working on. They are done and I can wear them. The pants are extremely comfortable and when I bend over the back doesn’t go down! Apparently one of the alterations worked after all. I don’t think the on line class I took was worth the money I spent. All the information presented in the class is available on the Internet. I could have made all the same alterations, had the same results, without paying for a class. I am on to sewing skirts and dresses. I know I can make alterations to make them fit, sew them, and have a wonderful finished garment. 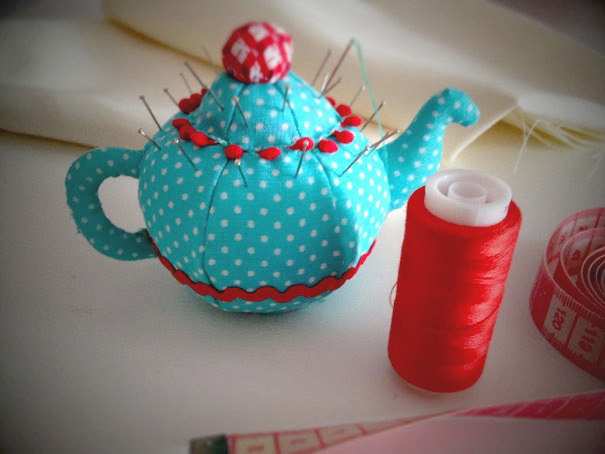 Click here for the tutorial for this darling teapot pincushion. Why does the word “sewer” have to mean three different things? Definitions from FreeDictionary.com are below. 2) An artificial, usually underground conduit for carrying off sewage or rainwater. 3) (Historical Terms) (in medieval England) a servant of high rank in charge of the serving of meals and the seating of guests. 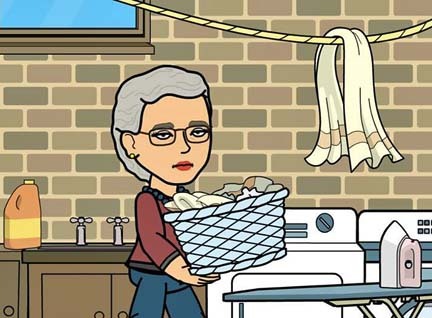 I feel uncomfortable writing, “Kathy the Sewer; I use “Kathy the Seamstress” instead.